Do you like cats? 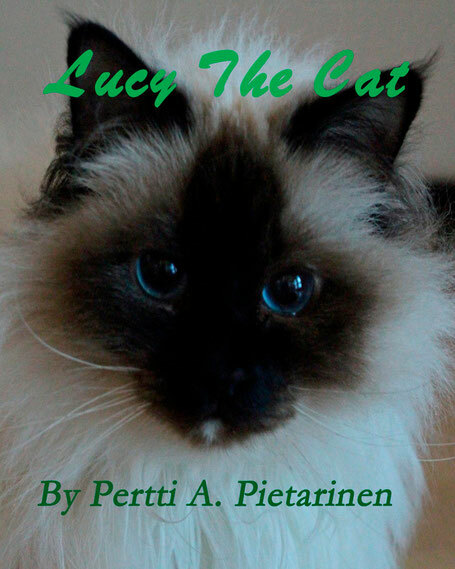 In this illustrated children’s book you will meet Lucy, the curious, gentle, cute Sacred Birman cat. After reading this book you will certainly love her as much as we do. When Lucy was a small kitten she had to move away from her cat mama. Now she lives happily with her human foster mom and dad. She is always very busy because she wants to help her mom and dad in all kind of daily chores. And of course she is the boss in the house, she has the final say. Lucy loves everyone and wants to be your friend. Let Lucy tell her own story with beautiful pictures and her own words. Meow to everyone! Amazon Review: "Reading this book gets you really looking at the world through a cat's perspective. A funny and exciting story of the life of Lucy. I would recommend this book for everyone interested in cats or thinking of getting a cat. Best read with children, but also fun for adults." Lucy The Cat has also her own web-store hosted by Amazon and you can shop there safely like in any Amazon Store. Get Lucy The Cat printed book from amazon.com, Barnes&Noble, AdLibris or any other web book store and e-book from Amazon.